Independent owned business is the backbone of the industry and consolidation is not good for it. 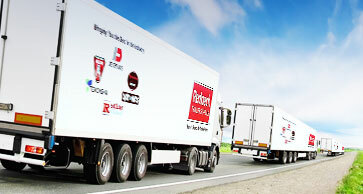 Coming up on 40 years of supplying the trailer industry with parts, service, knowledge and innovative ideas. Redneck Trailer Supplies has lived up to our mission statement of having the best products in stock, shipping products today, shipping it right, and being competitively priced. Our everyday mission is not limited to that, as Customer Service has been and always will be a focus for our company, while also coming up with new programs that benefit customers at any level and in any market. The key advantages we have in the market are the quality of our people and the excellent service we provide. Redneck Trailer Supplies can supply YOU with the parts you need, when you need them because of our national footprint with 20 branch locations. Redneck does this by committing to doing business with vendors and suppliers that believe in a level playing field and keeping the trailer industry fair, competitive, and independently owned. Many other suppliers out there will be eager to have your business today, but will be just as eager to supply your customer direct. Redneck Trailer Supplies is here to help you, not compete with you. Lost / Stolen Key Service, Trip Routing, On-Line Concierge: Travel Planning, Booking and Discounts, and lastly Trip Interruption Service. The CODE RED program offers these benefits free to our manufacturer and dealer customers with any tire purchased from Redneck Trailer Supplies at any branch location nationwide. Redneck is also pleased to announce the launch of the Hitch Guarantee Program featuring Draw-Tite Hitches. The Redneck Hitch Guarantee is a program that will satisfy our customers with a guarantee that Redneck will have the hitch available when you need it. Redneck commits to a ship today and 2-day promise for all orders received by 2 pm local time at any Redneck branch location. 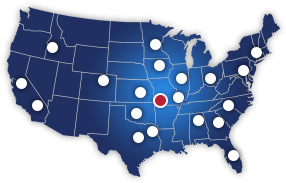 With 20 locations nationwide, we have the parts you need, when you need them. Redneck is proud to offer two of the industry leading axle brands through the new Axle Solution, featuring Lippert Components. Redneck offers axles that can meet any challenge in the RV, marine, horse/livestock, utility, and cargo trailer markets. Lippert Components leads the industry with innovative and state-of-the-art manufacturing techniques and assembles every axle manufactured in the USA with premium standard features. As the aftermarket distributor of Lippert axles, Redneck can get supply you axles at a price that cant be beat with unsurpassed quality. Building partnerships with new and existing vendors takes priority at Redneck so we can equip our customers with the best out there to handle the everyday pressures and challenges in the trailer market. New programs are in the works so Redneck can work with you, grow with you, while growing the industry together. A Redneck exclusive, we offer extended tire warranties and a roadside assistance program when you run into trouble on the road. We’ve got the hitch you need, when you need it. We guarantee same-day shipping if you order before 2 pm.